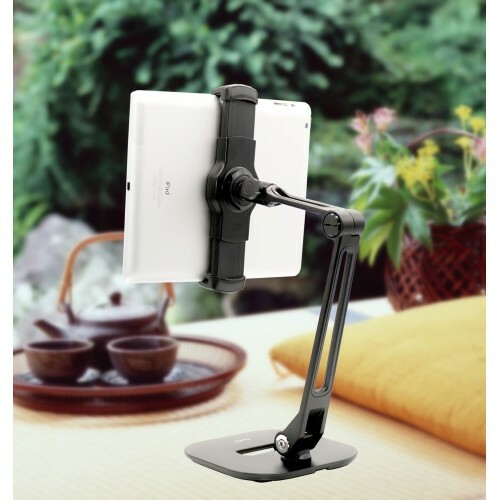 The iPad bracket is two-end expandable with inner length from 4.4 inches to 7.5 inches (113mm to 190mm), universally usable for tablet PCs Kindles and smartphones from 4" to 10.5"
The holding cradles use non-slip silicon to firmly grip the device and doesn't scratch it. 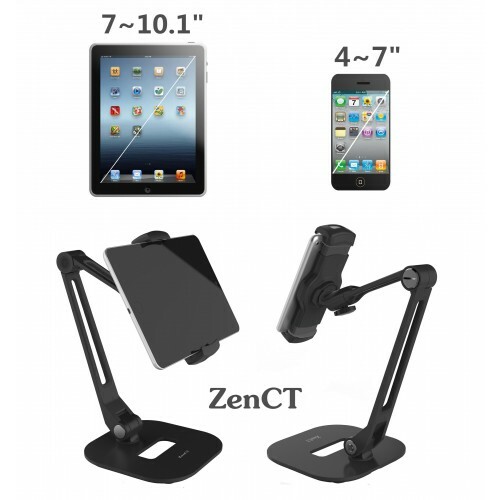 ZenCT - Simple & Intelligent! 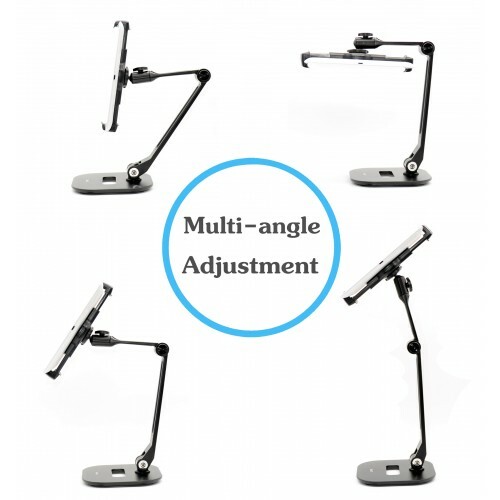 We are establishing the Holders' family which include Car Phone Holder, Tablet Holder, Smartphone Holder, Long Arm Holder, Laptop Holder, Tripod Mount Holder, Toothbrush Holder, and more designs coming. 1. 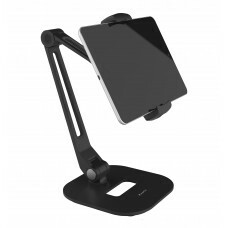 Sturdy but stylish stand. 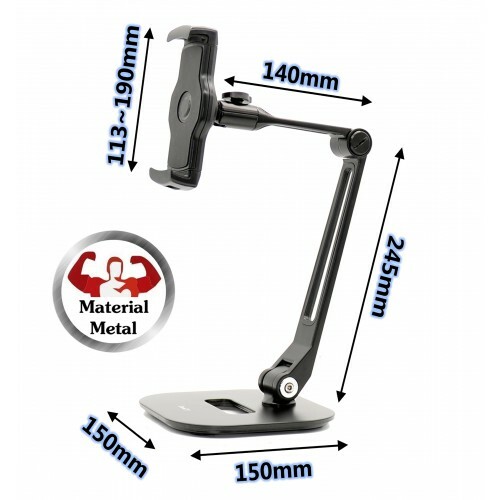 With its heavy metal base and Aluminium Alloy arm, the stand is easy to be placed on a flat surface. No fear of overbalancing. It is Perfect for reading at the desk or to use when cooking to look at your recipes. 2. 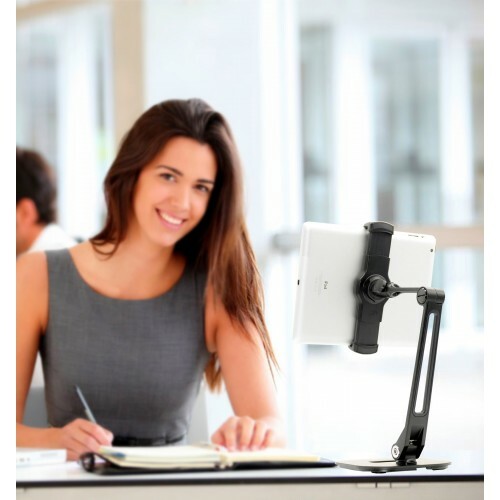 The easy rotation allows you to set up the stand in any position so you can comfortably work, write, read or watch movies, while the tablet clamp keeps your device safe and stabilized. 1. 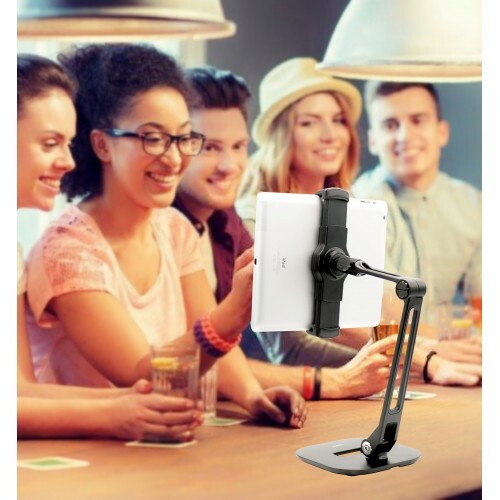 The iPad bracket is two-end expandable with inner length from 4.5 inches to 7.5 inches (113mm to 190mm), universally usable for tablet PCs Kindles and smartphones from 4" to 10.5"
3. 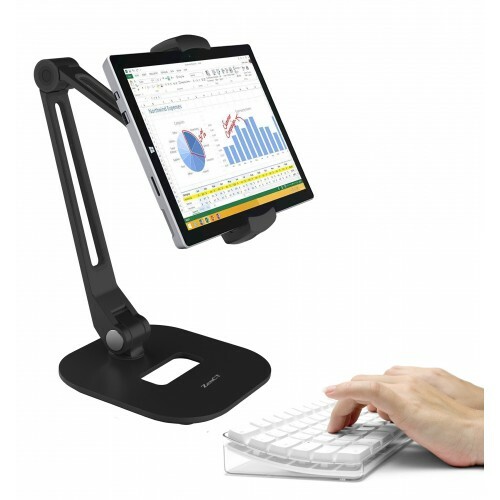 NOT fit iPad Pro 12.9" . 4. 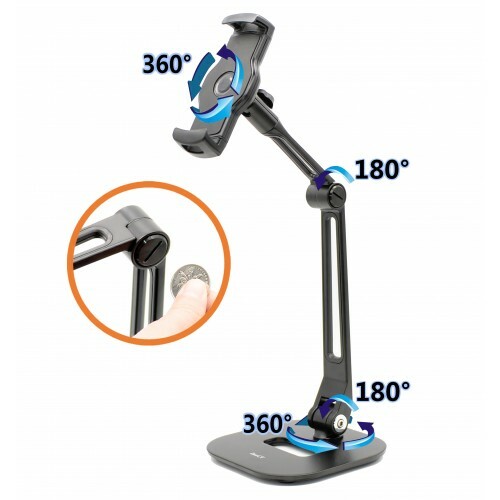 The arm reaches a length of 40 cm when fully extended.